Located in the beach city of Malibu, Creative Care is a recovery center for adults 18 and older dealing with substance abuse, chemical dependence, and co-occurring disorders. Since its inception in 1989, the facility has been well known for its leading edge dual diagnosis treatment—its ability to effectively and simultaneously treat co-occurring disorders and substance abuse problems. The center was founded by Dr. Morteza Khaleghi and his wife, Dr. Karen Khaleghi both of whom have experienced the havoc addiction can cause in human beings. Dr. Morteza’s approach to dual diagnosis was deemed successful early on, and other well-known facilities began to refer difficult challenges to him. Dr, Karen, his wife who grew up in an alcoholic home, is well-trained in psychodynamics and psychology. The center offers clinical evaluations to clients upon admission in order to design a clinically sound, individualized treatment plan. Additionally, the facility boasts of an experienced, capable clinical staff that treats the entire person and offers a high standard of care. The professional staff consists of therapists, registered nurses, psychiatrists, and psychologists. The minimum stay at the facility is one month. Creative Care utilizes the 12-step philosophy and offers myriad psychological and psychiatric services and programs which include psychotherapy, detoxification, art therapy, transitional living, and residential treatment. 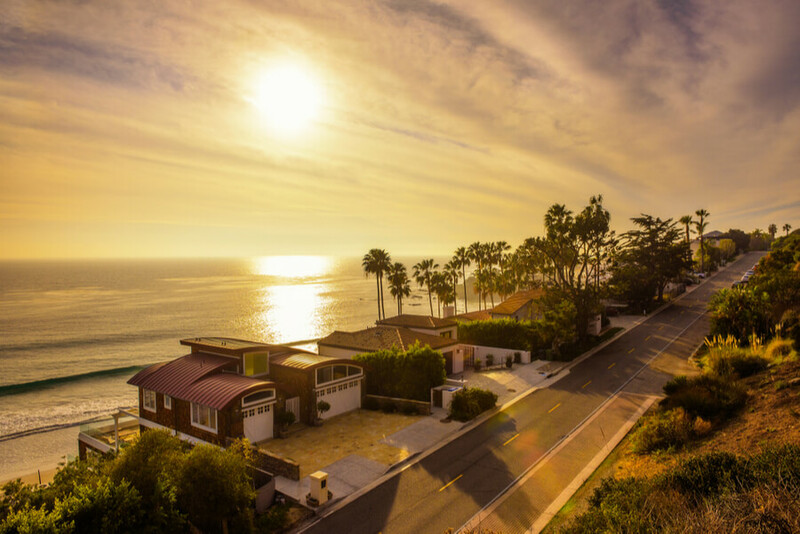 The center is located in the city of Malibu, west of Los Angeles and is capable of accommodating up to 30 residents. Most clients have roommates although private accommodation is available at the facility. The center’s program director designates rooms based on the client’s circumstances and needs. The center requires a one-month minimum stay but usually encourages clients to receive treatment for two-three months so as foster long-lasting sobriety. The center has a swimming pool and a large commercial kitchen. The center’s chef prepares gourmet meals with the dietary needs of the residents in mind. A registered dietician is also present on-site and works with residents to create a healthy and nutritious meal plan. This program is the highest level of care for people dealing with substance use disorder and is available for adults aged 18 and above. The center focuses on maintaining a comfortable and safe environment for clients to rid their bodies of built-up toxins. The process may last anywhere from 3-14 days and medical staff is available for 24/7 monitoring. In the facility’s residential program, customized treatment plans are created for each client and the 12-step program is incorporated into the modes of treatment. This includes 12-step sponsorships and meetings. Various forms of therapy including individual, family, and trauma therapy are observed in the program. This is a step-down level of care for individuals ready to exit the residential program. The clients are engaged in volunteer work and integration back into their communities. The facility is accredited by The NAATP (National Association of Addiction Treatment Providers) and the California Department of Healthcare Services. The treatment center offers treatment options to clients diagnosed with mood disorders such as depression with clinical and holistic therapy methods such yoga, art therapy, and equine therapy but these treatments are not emphasized, as the facility claims that their treatment methods are clinically sound and also customized. Outpatient treatment options are offered by the facility as well as sober living homes. This treatment option is also offered to clients as an aftercare or discharge plan after completion of an inpatient program. In its entirety, Creative Care Incorporated is a good option for individuals looking for a facility that treats mental health issues with utmost priority and addiction issues as a follow-up. Industry insiders and Reviewers say that this mode of treatment is better than that of other facilities treating mental illness but are advertised as rehabilitation centers. The treatment center is also made up of qualified professionals and staff with the owners having 20 years of experience handling mental health issues. Morteza holds a Doctorate degree in Clinical Psychology from the California Graduate Institute and is licensed to practice Marriage and Family Therapy. With of 19 years of experience in the behavioral health sector, he oversees the clinical evaluation of each patient which is part of the follow-up process after admission into the facility. Deena went to Ryokan College, Columbia University, and Pace University in which she acquired different degrees including a Doctor of Psychology degree and a Clinical Social Work degree. She is also licensed to be practice Clinical Social Work and has served in the position of Clinical Director at the facility for over 19 years now.